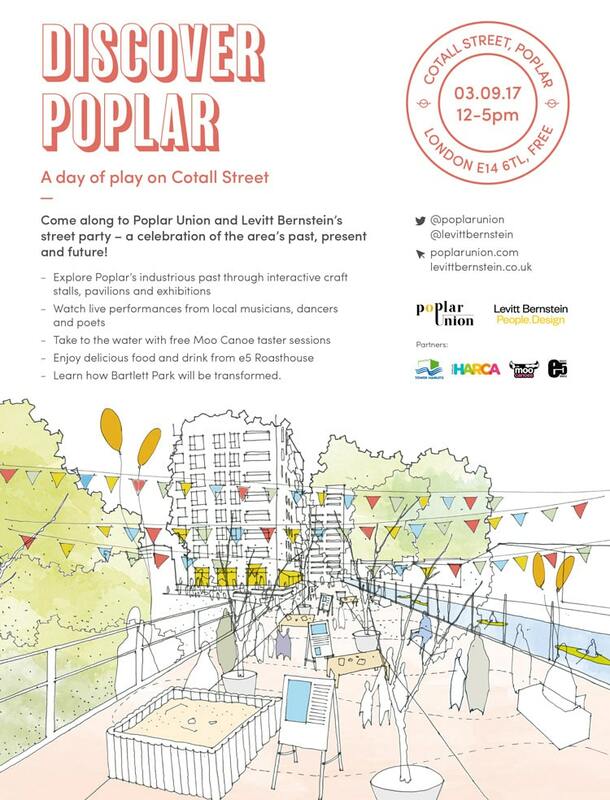 Join us on Sunday 3 September for a community street party, in partnership with Levitt Bernstein! We will be celebrating our first year of opening, the arrival of e5 Roasthouse Café, our partnership with Moo Canoes, and the new and improved plans for Bartlett Park led by Levitt Bernstein. Make your way to the e5 Roasthouse, who will be running their new roastery and café from Poplar Union from September. As well as roasting their own coffee on site, they will be serving a delicious seasonal menu and beverages throughout the day. Finish your journey in the gallery at the back of Poplar Union, where you can find the Men’s Cabin photography exhibition, Chrisp Street Market & Poplar Baths; Past, Present & Future.